The Peruvian 4-masted bark Uniòn will be sailing into San Francisco harbor early Friday morning to dock at Pier 17 where it will be open to visitors all weekend. The steel-hulled ship measures 378-feet overall and is reportedly the largest sailing ship in Latin America. It’s a relatively new vessel, having been commissioned just over 3 years ago. According to the San Francisco Chronicle, the ship will be open for visitors on Saturday and Sunday, April 27 and 28, from 10 a.m. to 6 p.m. This entry was posted in My General Blog on April 25, 2019 by catopower. This entry was posted in All News, Ship Modeling News and tagged Ages of Sail, HMS Beagle, HMS Terror, Occre on April 17, 2019 by catopower. A few weeks ago, I broke down and purchased the HMS Terror kit from Ages of Sail. I couldn’t help myself as it is such and interesting subject and the kit looks very adaptable to making small upgrades, such as improved scale deck planking, upgrading the deck structures and fittings, etc. This entry was posted in All News, Ship Modeling News, Vendors and tagged HMS Terror, Occre on April 11, 2019 by catopower. The kobaya model has taken a new turn with the adding of ornamentation. In this blog post, I discuss among other things the use of flattened copper and gold wire to make small metal mortise cover plates. A yakata for the kobaya? I’ve been looking at the yakata, or deck cabins, on the paintings of kobaya. Also, there is one from a larger gozabune that was removed and restored and on display at the museum at Kumamoto Castle. I’ve been in touch with ship modeling colleagues in Japan and they told me that it is from a ship called the Naminashi-maru (波奈之丸). The restored yakata from the Naminashi-maru at the museum of Kumamoto Castle. I’m still very confused about the dimensions. To me it looks very low, but I’m told the lower level is 1.7 to 2 meters high on the inside. Part of this, I assume is because the floor is below deck level, which is the case on my kobayabune. This entry was posted in All News on April 7, 2019 by catopower. 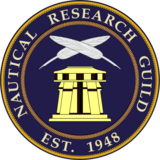 After about a year long hiatus, local ship modelers in the greater SF Bay and Sacramento areas will once again be getting together at the Vallejo Naval and Historical Museum. The date for the gathering is Saturday, May 11th, at 10am. This group was meeting fairly regularly, about 4 times a year, but with other life issues getting in the way, not much in the way of ship modeling was being accomplished by the bulk of attendees. But, it’s been long enough now that there’s been some interest in getting together again. People have had some time away and, hopefully, have had a chance to either work on a project or they’re ready to get back to one and need some inspiration. I really like the idea of ship modeling clubs myself, but not as a form of simple entertainment. I really want them to be times to share and learn and to find out what people are working on. Even if one has no model progress to show, maybe a model is too difficult to transport or nothing has been done since the last time it was brought, one can share by taking part in discussion, or by simply bringing a small assembly, book or tool – maybe an unstarted kit, even. This entry was posted in All News, Clubs and Organizations, Ship Modeling News and tagged ship model meeting, vallejo naval and historical museum on April 6, 2019 by catopower. I’m something of a collector of ship modeling books – Well, of kits and tools and supplies too, for that matter. But, the books provide the most inspiration and learning, so they’re particularly important. Plus, they’re a nice distraction from time to time. And, you never know, maybe I’ll actually build the subject matter of the book at some point. Today, my copy of David Antscherl’s book, The Greenwich Hospital barge of 1832, and methods of building open boats, arrived in the mail. Many of us are familiar with David Antscherl’s other works on the excellent Swan-class sloop series and his book on the Fireship Comet and others, all published by Seawatch Books. He’s so prolific that I can’t keep up with his publications. But, this book was, frankly, the least expensive, and of a very different kind of subject, so I thought I’d go ahead and get it. The subject is a Thames River ceremonial barge that, if I understand correctly, belonged to the Greenwich Hospital and would primarily have been used by the Mayor of the Hospital as a kind of river limousine. The book is also about building small open boats. The Hospital Barge is one that is clinker-built in 1/48 scale, but the book also goes into the construction of a “plug” and a method for using it to build ship’s boats. A carvel-built hull is used for the example there. It’s a small book, but a very nice one – 86 pages printed in full color, plus it includes a pair of 8-1/2″ x 11″ sheets of plans for the Hospital Barge. This entry was posted in All News, Books, Product Review, Ship Modeling News and tagged David Antscherl, Sea Watch Books on April 6, 2019 by catopower. Woody Joe’s Kitamae-bune model is taking shape, with the basic hull construction completed. I’ve added a few details and will be adding some fine details very soon. After some early troubles with the hull construction, the model has been coming along very nicely. With the addition of the outer bulwarks fences, I began my next modification of this kit. The main deck of the sengokubune (the common term for this type of ship) has a pair of gates which are removed to allow easier loading and off-loading of cargo. On this kit, the inboard part of the bulwarks is a solid sheet of wood, with no indication of such a gate. So, I took my Japanese razor saw and cut openings for the gates. This entry was posted in All News on April 1, 2019 by catopower. The Port Townsend Wooden Boat Festivalis a big annual event up in Washington state for lovers of wooden boats, and I believe it’s one of the largest events of its type in the world. Now, I’m not personally a big wooden boat enthusiast, so I never had any intention on going, but it looks like I’ll be displaying my Japanese boat models there this Fall. This is all coming about with the suggestion of Douglas Brooks, who will be doing a Japanese boat building workshop just prior to the festival. The organizers want to make something of an event out of the completion of the boat. This entry was posted in All News on March 28, 2019 by catopower. 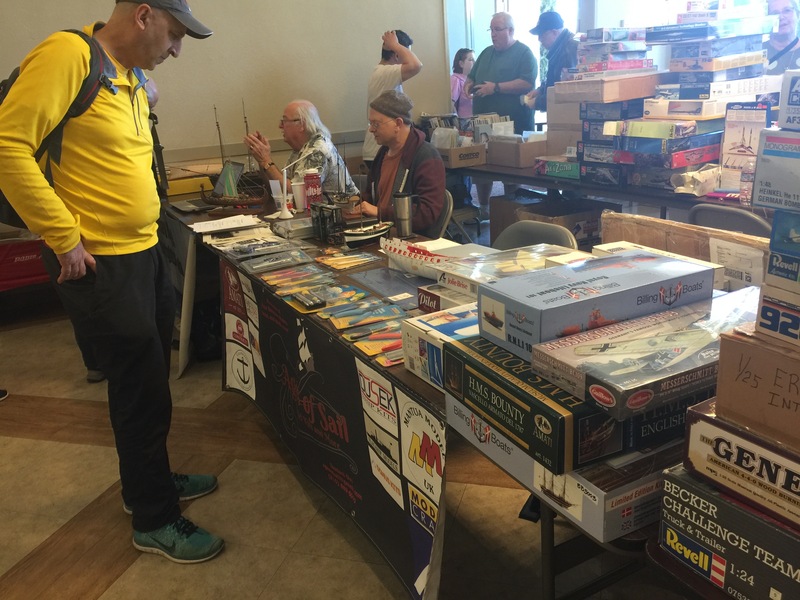 The SVSM 2019 Classic was the name of the IPMS show held March 19th, 2019, at San Jose’s Napredak Hall. The South Bay Model Shipwrights and Ages of Sail had adjacent tables at the event and I was manning the Ages of Sail table for the whole day. SBMS members James Lunt and Jacob Cohn demonstrating ship modeling skills and talking with visitors to the table. 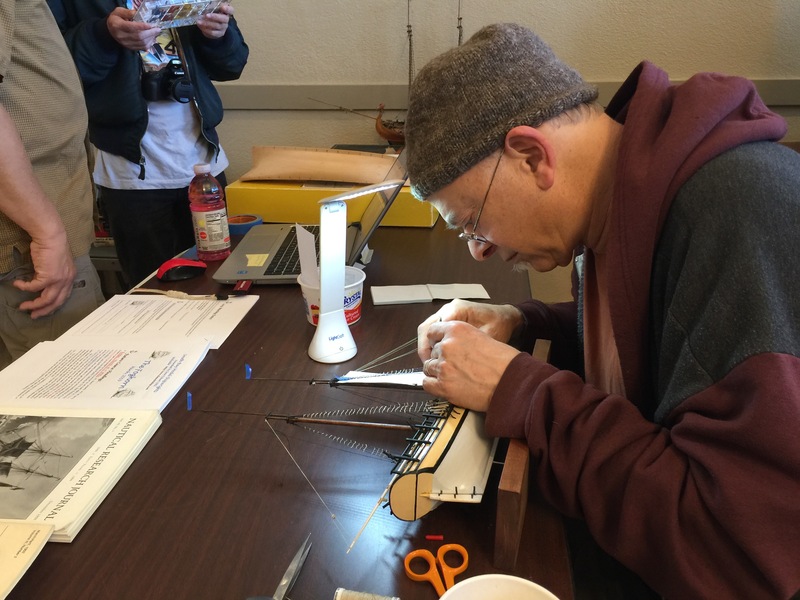 SBMS member Jacob Cohn demonstrating his rigging skills as he adds ratlines to his 3/16″ scale HMS Sultana model. This entry was posted in All News, Conferences and Shows and tagged Ages of Sail, IPMS, SVSM on March 28, 2019 by catopower. OcCre just informed us that the HMS Beagle kits have officially been released. We have a large shipment now on its way and they should be here within the next two weeks. To minimize your wait time for this exciting new kit release, we’re now accepting pre-orders. Pre-Order Now, and we’ll send your order as soon as the kits arrive. What’s more, we’re discounting the kit by 10% off its retail price of $209, making it an even greater value than it already is, at $188.10. HMS Beagle became famous for her survey voyages when a passenger on her second expedition, a young naturalist named Charles Darwin, wrote his famous work On the Origin of Species. This entry was posted in All News on March 22, 2019 by catopower.